In Japan, grass isn’t a very common thing in yards. There are parks with grass, but most of them are covered in dirt and concrete with flower beds. Any grass tends to either be left to grow very tall or cut down too short. Take this picture, for example. This is next to the park near our home. It was once covered with grass, but now seems to be bare soil. The city workers cut the grass so short that they were cutting into the soil. It’s as if they were intending to kill the grass. But you can see the effects easily. 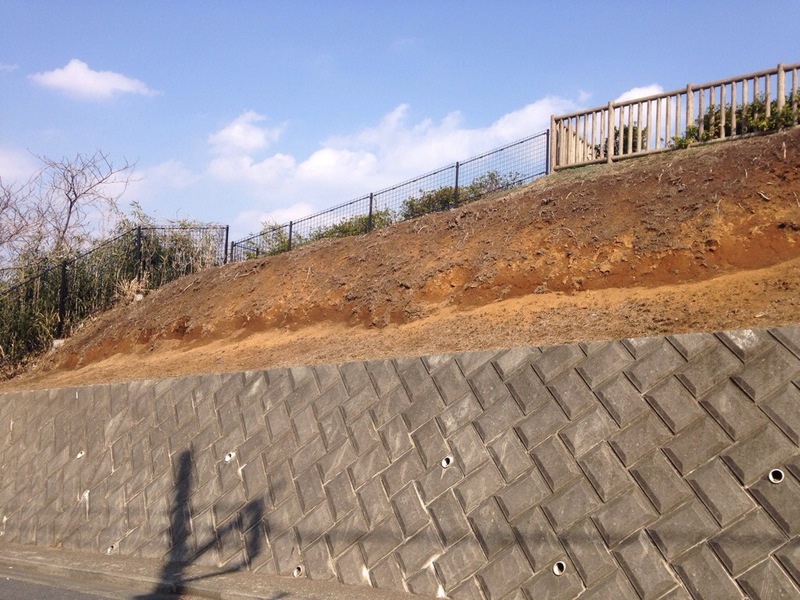 Clumps of soil have fallen out and the slope is beginning to collapse. At the top is a playground. If they destabilise the ground even more, a heavy rain storm could cause a minor landslide. All because they cut the grass so much that it’s nearly all gone. Don’t they know anything about the stabilising effects of grass roots? Unfortunately, I see this all over the place. These workers are not landscapers or gardeners, that’s for sure. They have no clue what to do with grass. 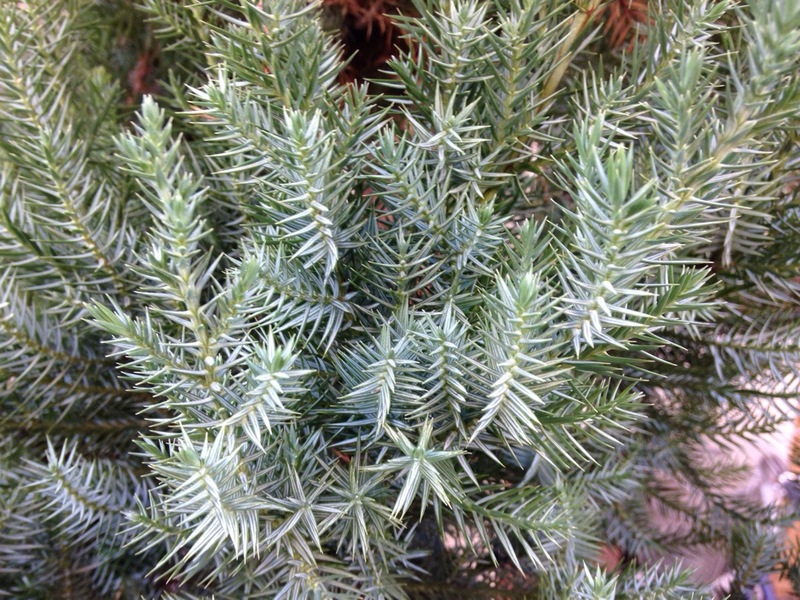 A New Year in Japan – Two Trees or One? We’ll be leaving for home soon. We’ve decided tenge train route. We both have a couple more days off work, but our daughter goes back to her nursery tomorrow. But this post has nothing to do with that. 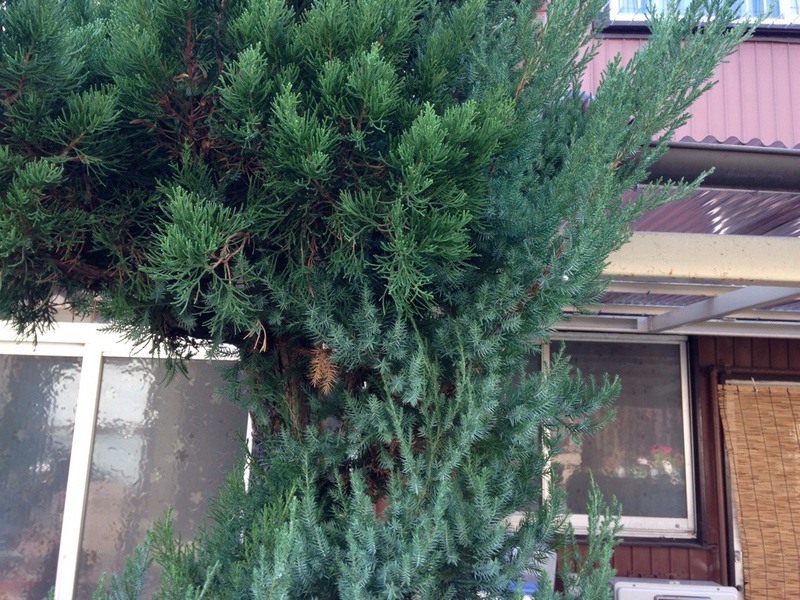 At my wife’s grandmother’s house, there’s a black pine. Here it is. But then, there’s also this. They’re different. One’s thicker, the other is spinier. But they’re on the same tree. Don’t believe me? Look at this. There you go. 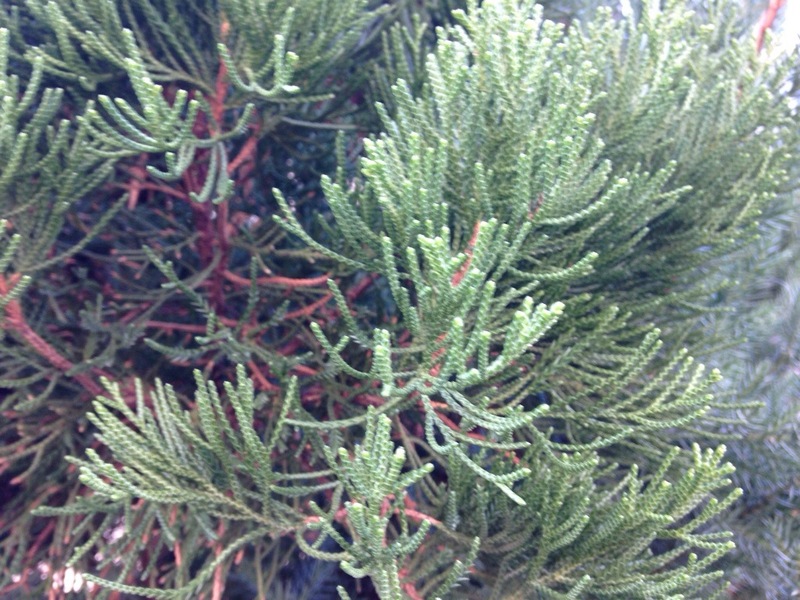 The shorter spiny needles are newer, I believe. Anyway, we’ll be going home soon. And it’ll be back to normal blogging. 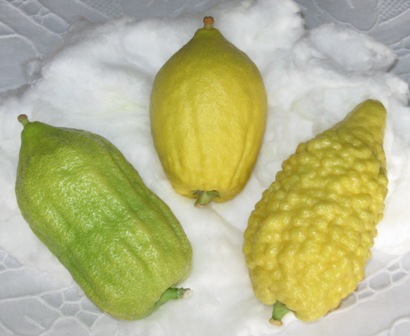 Does this Fruit Exist in Nature? I was having a conversation earlier today, and I’m not sure how the topic came up, but I ended up searching about different kinds of fruit. I was wondering which fruits grow naturally in the wild, and which are hybrids (or basically man made). What I found was interesting. Starting with citrus fruit, we look at the common types, oranges, lemons, limes, and grapefruits. Guess what? Not one of them is naturally occurring. They’re all hybrids. Oranges are a hybrid of the pomelo and mandarin. Lemons are a hybrid of bitter orange and citron. Limes are a strange bunch, and consist of many kinds of hybrids. Grapefruits are hybrids of a kind of sweet orange, which is also a hybrid, and pomelo. Natural citrus fruits include the mandarin, pomelo, papeda, and citron. They’ve all been used to create many kinds of hybrids. Other citrus include, shekwasha (a type of mandarin), many varieties of Japanese mandarins which can be pure or hybrid, kumquats (which are natural), tangerines (which may be a hybrid or a type of mandarin), clementines (which are mandarin hybrids), and yuzu (which are mandarin/papeda hybrids). 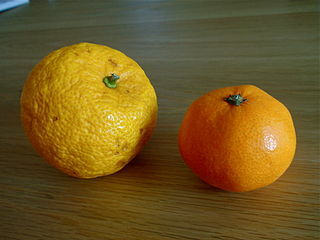 Left is yuzu (a hybrid of mandarin and papeda), right is a mandarin orange (not a hybrid). Of course, bananas that we see today are hybrids. They are infertile, so they need to be cultivated by humans. 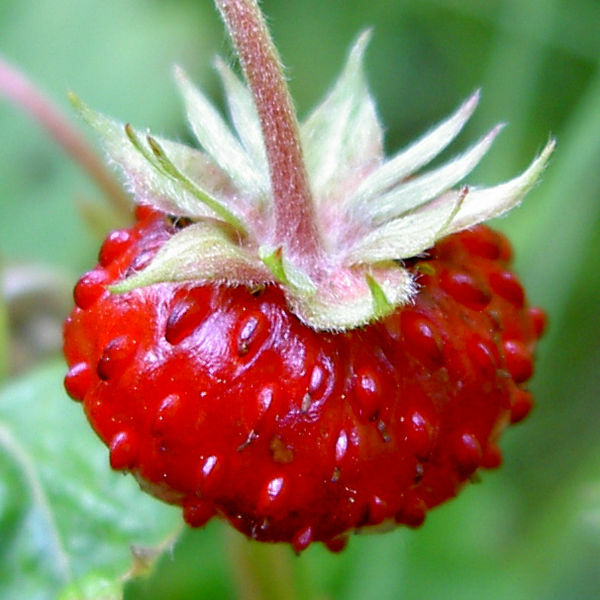 The strawberries that we eat today are hybrids, and actually pretty recent. Wild strawberries look a bit unusual. Blueberries are native to North America and grow in the wild. Raspberries are native to North America, Europe, and Asia, and grow in the wild. But some are hybrids of a couple species. Apples have many varieties, but the original comes from around central Asia. Grapes originated in Georgia (the country), and wine has been produced just as long as grapes have been cultivated, about 8,000 years. Peaches and nectarines are the same species, and they originated in China. They’re natural, too. There’s a huge number of cherry varieties, and they’re actually different species. They grow in the wild. Of course, there are many other kinds of fruit. But it seems that a lot of them are present in nature. But it seems that citrus fruits and bananas are the ones we don’t normally see the original, natural species. But then, mandarin oranges are pretty popular, especially around Christmas. And just to add a little controversy to this, hybridization of fruit is a kind of genetic modification. We’ve been modifying the genes of fruits and vegetables for millennia. We just didn’t know it was genetic until the past century. Know any interesting hybrids or natural fruit?